Boy, were One Direction fans up for a bittersweet treat on Tuesday morning. A few weeks ago the boys confirmed that they are indeed going on a hiatus — but to not fret, that it was truly only a hiatus, and that they would be back! 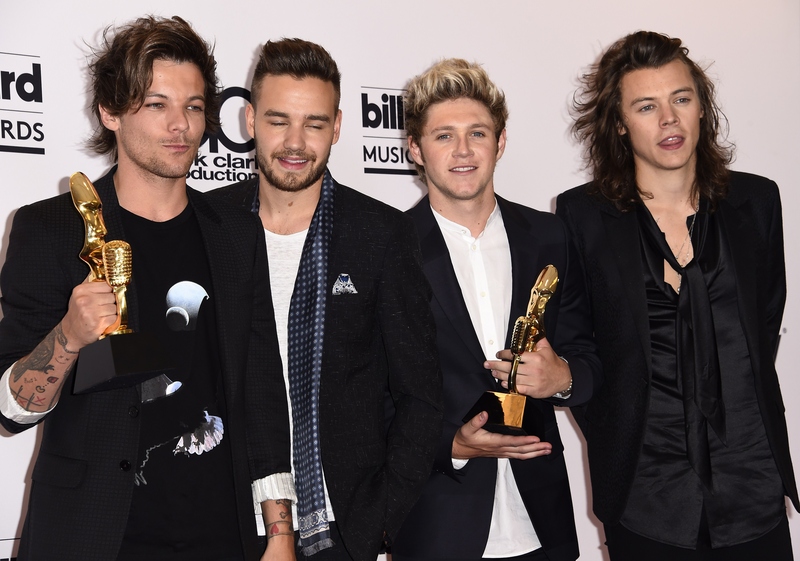 Well, 1D just announced their fifth album, Made in the A.M., which will be released on Nov.13. It's exciting news, but the moment has a tinge of sadness since it will be their last album before this so-called hiatus. But to ease the pain, you can already listen to One Direction's newest single, "Infinity!" I have feeling the song has got to be about a lost love, because, c'mon, it's One Direction. When I first heard the track, I heard traces of "Stop and Stare" by One Republic and a little bit of fellow Brit rockers, Keane and Coldplay. The song is soaring, beautiful, and quite catchy, which is exactly what I expect from a One Direction track. It's also penned by the writers behind "Story of My Life," so it's got that rock/pop anthems thing going for it. And I'm not complaining! It's better than the full on boy band pop the group started out with. The imagery sounds like their love had them on cloud nine and now that's over, they are falling from the sky. That is kind of how the end to a relationship feels, isn't it? They singer is "moving in reverse, with no way out," meaning they are stuck and going nowhere fast. Sounds about right. They have lost the hold of their love, and she is getting pulled away by "gravity," aka everyone else's opinions and possibly another love interest. Dang, girl, so cold. Someone lied in this situation and the singer is heartbroken about it. "Infinity" is the amount of nights he is wishing that she would have stayed with him. But he still holds a candle for her: "Lay awake only hoping they're OK." I think it's about time this boy moves on! Once again, they are lamenting the loss of their love and how the fire in their eyes is burning out fast. Why is he running out of time? Probably because he feels himself becoming a lesser version of himself and is just holding on to whatever he can at this point. The song ends with the pre-chorus and chorus being repeated two times, to drive the point home that infinity is a very, very, very long time. It does make sense for fans, too, because it's going to take a long time to get used to this hiatus but, hey, at least, we have a new song and a new album to look forward to!